Cassette tape professionally dubbed on high performance Chrome Plus tape featuring uniform output between 50 Hz and 20kHz. Black cassette shells with double-sided machine printed white imprint. Three panel full-color J card professionally printed, scored, and cut. 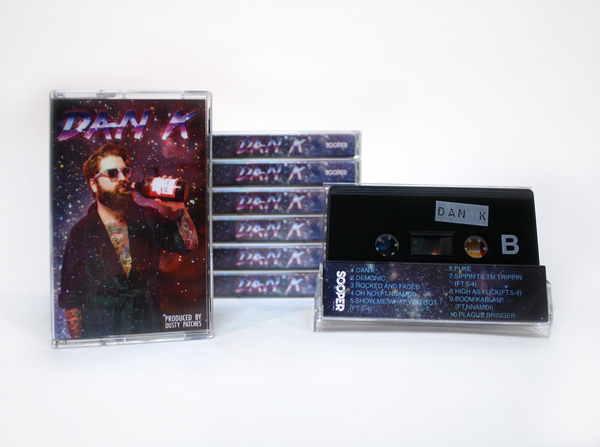 Purchase of cassette includes digital download from the Sooper Store. 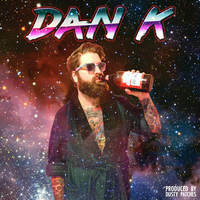 One of our funnest releases to date, Dan K's self-titled debut is an exercise in nihilistic party anthems. 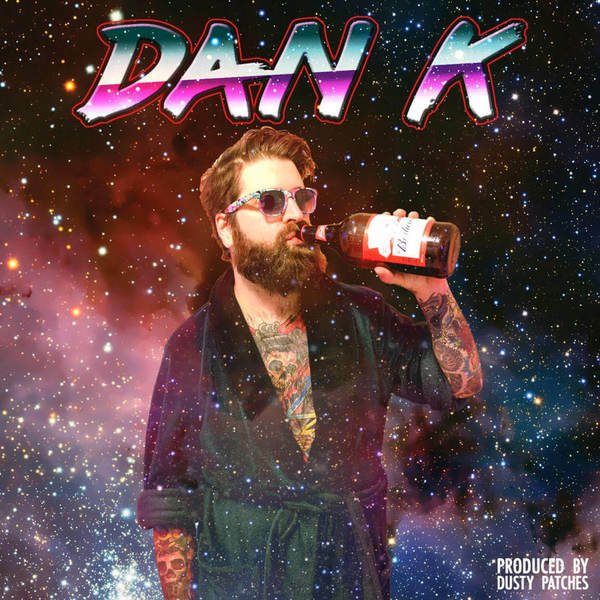 Follow Dan K on his odyssey as he abuses every imaginable substance, runs from cops, steals sandwiches, and rocks the house party until the early morning. Then wake up and do it all over again because you can't stop partying.